The news is only getting worse for the people of New York after Governor Andrew Cuomo signed a bill into law that legalizes abortions up to birth. As he was making New York the most pro-abortion state in the nation, the New York State Supreme Court dismissed a case about forcing religious groups to fund abortions. The Catholic Diocese of Albany challenged the state regulation, arguing it contained a “hidden mandate” to cover abortions in conflict with its beliefs. Times Union reports state Supreme Court Justice Richard McNally recently dismissed the Albany diocese’s lawsuit, citing a 2006 case in his reasoning. The diocese teamed up with other Catholic entities to challenge the state abortion mandate. The case was brought against the state Department of Financial Services, its acting superintendent Maria Vullo and insurers, including Capital District Physicians (CDPHP) entities, MVP Health Care, Excellus Health Plan and Independent Health Association. The church argued that the regulation “surreptitiously mandated coverage for abortion under the service category of ‘medically necessary’ surgery.” State insurance law requires that abortions be covered under health insurance plans, according to the report. However, the judge rejected the case, writing, “[I]nsurance policies that provide hospital, surgical, or medical expense coverage delivered or issued for delivery in this state shall not exclude coverage for medically necessary abortions.” McNally cited a 2006 decision where Catholic Charities of the Albany Diocese tried to appeal an act that required insurers to cover the cost of doctor-prescribed contraception. The Albany diocese plans to file an appeal “due to the critical constitutional and statutory issues surrounding the abortion mandate,” the diocese’s communications director Mary DeTurris Poust said. Bishop Edward Scharfenberger of the Catholic Diocese of Albany wrote a letter to Cuomo criticizing the new pro-abortion law. 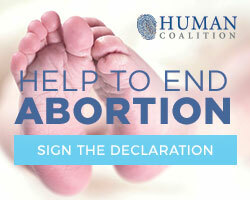 On Tuesday, Governor Andrew Cuomo of New York signed into law a bill that would legalize abortions up to birth. The move has prompted worldwide criticism from pro-life people across the globe.